​Hands-on cooking classes for children and young adults taught by Lilian Anderson, Registered Dietitian & Culinary Professional. Exposure to gardening and harvesting made possible through seasonal visits to our Project Grow garden site, conveniently located across the street. A true garden-to-plate experience! Class size: minimum of 6, maximum of 10. These "Drop Off" classes are open to children ages 8 to 16, unless otherwise indicated. Cost of each 3 hour class is $55 per person (unless otherwise indicated). A spot in the class is secure upon receipt of payment. Credit card, check or cash are accepted. Cost of each class includes instruction, equipment, Sprouting Chefs' aprons, recipe packets and meal-sized food tastings. Cancellation Policy: Full refund of class fee if cancellation is received at least 30 days in advance of class. If less than 30 days, a $40 refund will be provided. If less than an 8 day notice is provided, no refund will be provided. Refund policy for private classes will be arranged on an individual basis. 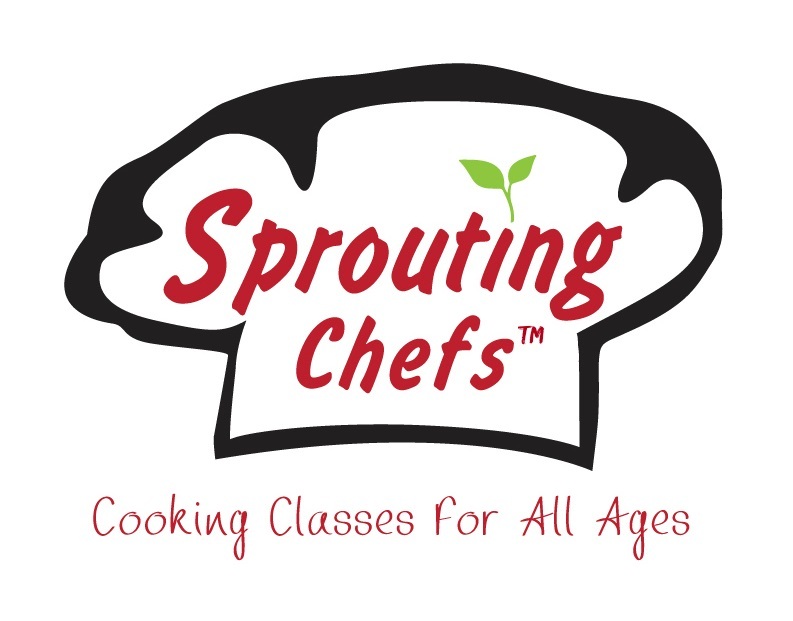 I, or one of Sprouting Chef's instructors, will lead all classes and will have at least one adult volunteer assisting us at all times. All dishes will be prepared from scratch. Class time will allow for preparation and eating of our creations. Depending on particular menu and time available, dishes may be enjoyed during class time or at home or BOTH :). Longer hair must be pulled back and CLOSED-TOE shoes MUST be worn. All efforts are made to purchase locally grown & seasonal ingredients as well as organic meats and eggs. We will harvest as much as is available seasonally from our Project Grow garden site across the street. Classes will take place in the kitchen of Westminster Presbyterian Church located at 1500 Scio Church Rd. in Ann Arbor. Please contact me regarding special events, such as birthday parties, girl scout troops, adult classes, etc. I'm happy to create a customized class for your special day/group, in the Sprouting Chefs' Kitchen or in your home. Minimum of 8 people required.